Mormonism’s Russia dilemma: How to grow a fledgling faith with missionaries who can’t do missionary work. Dilemma in the land of Putin: How to grow a fledgling faith without drawing the government’s wrath — and without overt proselytizing. | Courtesy Sariah Warnick Sariah Warnick at the he Church of All Religions in Kazan Russia. 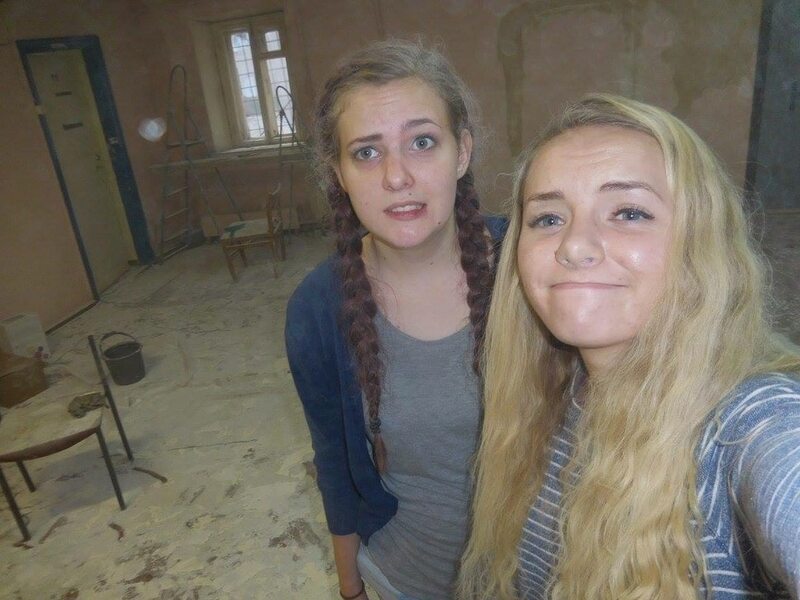 Warnick went to the church duri... | Courtesy Sariah Warnick Sariah Warnick with her companion during a service project, helping spackle and paint, at a cente... | Courtesy Sariah Warnick Sariah Warnick inside a theater in Saratov Russia. Warnick went to see Swan Lake with a less acti... photo courtesy LDS Church Church members fix up a playground at an orphanage in Tiumen, Siberia. photo courtesy LDS Church Church members help the elderly during an activity in Russia. photo courtesy LDS church General Relief Society President Jean B. Bingham visits with church members in Russia. photo courtesy LDS Church Church members fix up a playground at an orphanage in Tiumen, Siberia. photo courtesy LDS Church Church members help the elderly during an activity in Russia. photo courtesy LDS Church Church representatives participate in Russian Red Cross anniversary ceremony in St. Petersburg. photo courtesy LDS church General Relief Society President Jean B. Bingham visits with church members in Russia. | Courtesy Clifford Blair Mormons gather for the August 2010 dedication of their temple in Kiev, Ukraine. | Courtesy Clifford Blair Mormons gather for the August 2010 dedication of their temple in Kiev, Ukraine. | Courtesy Clifford Blair Mormons gather for the August 2010 dedication of their temple in Kiev, Ukraine. | Courtesy Sariah Warnick Sariah Warnick at the he Church of All Religions in Kazan Russia. Warnick went to the church during a culture activity with some non members from the English group. | Courtesy Sariah Warnick Sariah Warnick with her companion during a service project, helping spackle and paint, at a center for the blind in Saratov. | Courtesy Sariah Warnick Sariah Warnick inside a theater in Saratov Russia. Warnick went to see Swan Lake with a less active member and a non member during her mission. photo courtesy LDS Church Church members fix up a playground at an orphanage in Tiumen, Siberia. photo courtesy LDS Church Church members help the elderly during an activity in Russia. photo courtesy LDS church General Relief Society President Jean B. Bingham visits with church members in Russia. photo courtesy LDS Church Church members fix up a playground at an orphanage in Tiumen, Siberia. photo courtesy LDS Church Church members help the elderly during an activity in Russia. photo courtesy LDS Church Church representatives participate in Russian Red Cross anniversary ceremony in St. Petersburg. photo courtesy LDS church General Relief Society President Jean B. Bingham visits with church members in Russia. | Courtesy Clifford Blair Mormons gather for the August 2010 dedication of their temple in Kiev, Ukraine. | Courtesy Clifford Blair Mormons gather for the August 2010 dedication of their temple in Kiev, Ukraine. | Courtesy Clifford Blair Mormons gather for the August 2010 dedication of their temple in Kiev, Ukraine. Halfway through her Mormon mission, Sariah Warnick had to stop being what she was: a missionary. No more knocking on doors in a quixotic quest for converts. No more handing out pamphlets on the street about her religion's birth here on Earth or its views of life after death. No more doctrinal discussions about prayer, prophets or priesthood in the homes of would-be members. In fact, in a move as symbolic as it was mandatory, "Sister Warnick" could not wear her iconic black name tag identifying her as a missionary for The Church of Jesus Christ of Latter-day Saints. Although she remained every bit the missionary on the inside, on the outside this perky proselytizer from Provo was now officially a "volunteer" serving in the Utah-based faith's Russia Samara Mission. Why the change? A year ago this month, Russian President Vladimir Putin signed a stringent anti-terrorism law that severely limited outreach by any religions, save for the Russian Orthodox Church. Moscow's strong arm not only tied the hands of youthful Mormons serving across Russia but those of Jehovah's Witnesses, Baptists and Buddhists, Muslims and Mennonites, Seventh-day Adventists and Scientologists. Built on a fear of foreigners, the Yarovaya Law, as it is known, forbids "preaching, praying, disseminating religious materials, and even answering questions about religion outside of officially designated sites," according to a 2017 report by the U.S. Commission on International Religious Freedom. The clampdown "effectively criminalized all private religious speech not sanctioned by the state," the report says. "The Jehovah's Witnesses stand on the verge of a nationwide ban, and innocent Muslims were tried on fabricated charges of terrorism and extremism. ... [S]ecurity forces carried out arrests, kidnappings, and disappearances of persons suspected of any links to 'nontraditional' Islam with impunity." But no one is paying more attention to the law's fallout than top Mormon brass more than 5,500 miles away in Salt Lake City. Earlier this month, the Utah-based faith reduced its missions in the country from seven to six, merging Vladivostok into the Novosibirsk mission. The scaled-back system divvies the 300 missionaries into the half-dozen remaining groups — far below the average mission size of 150 to 200 — to cover Russia's vast landscape and support the 25,000 members there (amid an overall population of 144 million). Members and volunteers (formerly known as missionaries) carefully heed the government's decree. A few volunteers have been accused of illegal proselytizing, though no official action was taken against them. "While we don't always agree with the restrictions or regulations placed on our volunteers and missionaries," says LDS Church spokesman Doug Andersen, "we always abide by those rules and teach our volunteers and missionaries to do so as well." Indeed, one of Mormonism's Articles of Faith declares that Latter-day Saints believe in "being subject to kings, presidents, rulers, and magistrates, in obeying, honoring, and sustaining the law." Andersen reiterates that sentiment, saying that the church "encourages its members to be loyal citizens in the country where they reside and to be engaged in service to their country." That hardly keeps top LDS leaders from worrying about their Russian flock and American-born volunteers or from wondering: "Could our church face the same fate as the Jehovah's Witnesses?" Though early LDS missionaries made short forays into Russia in the 19th and early-20th centuries (one convert fled the country after the 1917 revolution), Mormonism didn't really get rolling there until the early 1990s. That's when Russia officially recognized the church, timed to coincide with the Mormon Tabernacle Choir performing in Moscow's famed Bolshoi Theater. By the end of 1991, the atheistic Soviet Union had collapsed, and citizens long deprived of openly practicing their faith began asserting their religious identity — mostly in the long-suppressed Russian Orthodox Church, now closely associated with Russian nationalism. At the same time, many evangelicals and other missionaries saw the opening and sprinted across the globe to the land of their former enemies, seeing Russia as fertile ground for converts and creating competition for souls between Orthodoxy and the newcomers. Mormonism, though much smaller and lesser known than other faiths, was among the sprinters. "To the extent that Russians even know the LDS Church," says Elizabeth Clark, a law professor at LDS Church-owned Brigham Young University, "they tend to group it with Protestant beliefs or know only the references to Mormons in Sir Arthur Conan Doyle's works." And native believers, she adds, view all Protestant religions as "new and nontraditional, even though some have been in the country since the early 1700s." The Rev. Thomas Reese, chairman of the U.S. Commission on International Religious Freedom, says most Russians regard all outside sects as "strange" at best and "destructive" at worst, threatening to disrupt social harmony and serving as "agents of Western imperialism." Roman Lunkin, a sociologist specializing in religious freedom, first met Mormon missionaries in the 1990s on the streets of Moscow. Later, he brought interns from BYU to work in the Slavic Center for Law and Justice, interviewed LDS officials for articles and attended an open house at the Mormon temple in Kiev, Ukraine. "I was impressed by the politeness and smiles of missionaries, how they are devoted to their mission," Lunkin, who is not Mormon, writes in an email. "Certainly, I felt some religious feelings in the temple because of its beauty and solemness, and I understood that members of the church want to live in a pure space like in heaven." Lunkin, senior researcher at the Institute of Philosophy of the Russian Academy of Sciences in Moscow, observed that his country's converts were attracted to Mormonism's "attempts to create the absolute family happiness." They are drawn, he says, to "the image of the American dream in Mormonism and [its] connection with heroic paths of American history — the journey from Illinois to Utah." As Russians joined the U.S.-based faith, however, they often faced ostracism from loved ones and suspicion from other churches. Missionaries routinely were hauled in for questioning by police, constantly threatened with yanking away their visas or deportation for minor offenses. A Russian news channel broadcast photos of Mormon undergarments, worn as a reminder of religious covenants, says Andrew Dutson, a Kearns resident who served in the Yekaterinburg Mission from January 2014 to December 2015. The station also showcased controversial snippets about church founder Joseph Smith and Mormon history. The public had heard all the most scandalous material, Dutson says. "So members were judged pretty harshly by their family and friends for joining." Outsiders often see the church as a "U.S. agent," says Yaroslav Rizhkov, a district president who oversees a number of Mormon congregations in Novosibirsk. "Some members became inactive in 2012 because they did not like what Mitt Romney would say about Russia, and they felt weird being members of the same church with him." Romney, a Mormon and the 2012 Republican presidential nominee, once labeled Russia America's "No. 1 geopolitical foe." Because of such public perceptions, Rizhkov says, it has become nearly impossible to get permission from government officials to build a new LDS meetinghouse. But the inner peace found in a newfound faith sometimes makes up for the outside strains. 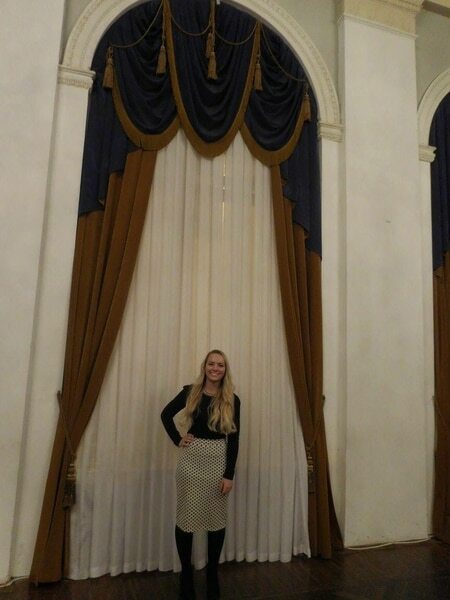 Mormonism "brought so much happiness into my life," says Galya Risner, who joined in Moscow at age 16. "Once I realized who I am — not only a lone teen without friends, whose family doesn't understand my religious interest — I am a beloved daughter of Heavenly Father, and since that moment, I was lonely no more." Now in her 30s, she resents Russia's treatment of Ukraine and says it hinders her ability to visit the LDS temple there. Even so, Risner and Rizhkov say the year-old anti-proselytizing law has forged a greater bond between members and missionaries. "The work goes forward," Risner says. "We have several investigators each Sunday, and our ward keeps growing." Alexey Vargin attends a tiny LDS branch of 25 in Yaroslavl, about three hours from Moscow. "We try to teach our members to be independent in following Christ and doing their callings," he says. "Most of those who are active in life also are active in the [lay, member-led] church and do their callings." He does note, though, that there are "a lot of members who depend on leaders and missionaries and cannot do anything by their own initiative." Vargin, who himself served a Mormon mission, misses helping the missionaries "when they had the freedom to teach and talk with people everywhere." Now, he has to "find work for them just to help them be busy." Vargin recalls ruefully a moment when his former mission president from Salt Lake City promised the Latter-day Saints in Russia that the church would grow dramatically. "I believe in it," he says hopefully, "but sometimes it is hard to see the future when the present is not nice." Independent LDS demographer Matt Martinich, who tracks Mormon statistics worldwide, does not predict major growth in Russia in the coming years. "The closure of the Russia Vladivostok Mission appeared to be very sudden and spontaneous," the Colorado-based researcher says. "Otherwise, I anticipate more missions in Russia being consolidated due to missionary visa problems, low receptivity and the small number of congregations that these missions service." Russia has some 103 wards and branches, but Martinich points out that many Mormon missions in much smaller areas have "as many congregations as the entire country of Russia." In the law's wake, LDS growth in Russia has been mostly flat, says Andersen, the church spokesman, noting that some areas have seen baptisms decline. What if LDS Church headquarters pulls foreign-born missionaries from the country altogether or stops sending them there in the first place? Would the faith wither without that support? "There are very few volunteers [missionaries] serving as branch presidents in Russia," Andersen says. For instance, Dutson, the former missionary from Kearns, oversaw such a congregation for a time in Siberia. "A small number of congregations ... are somewhat dependent upon volunteers," Andersen says, "but the vast majority of the congregations would function without problems if there were no volunteers in the country." He hopes, of course, such a rupture doesn't happen. "What would be lost is an opportunity for the volunteers and local members to work together to serve others, worship together and strengthen bonds of friendship and respect," he says. "We believe that our volunteers bless the people of Russia and bless Russia itself." The Jehovah's Witness movement was launched in the United States about a half-century after Mormonism, which formed in 1830. It also sends out pairs of proselytizers to knock on doors and distribute doctrinal tracts. Unlike the LDS Church — whose missionaries serve for a limited time, typically two years for young men and 18 months for young women — all Witnesses are expected to spend some hours every month looking for converts. Though similar, the two faith groups are treated differently by the Kremlin — partly because the Witnesses oppose military service. "The Jehovah's Witnesses have been in the crosshairs of the Russian security services since World War II," says Clark, the BYU scholar. "The KGB was quite paranoid about the comparatively rapid influx of Jehovah's Witnesses after the post-World War II Soviet annexation of territory, even though their absolute numbers were still quite small. At that time, thousands of them were rounded up and deported to Siberia on cattle cars." In the past couple of years, Witnesses "have continued to be the prime target of state repression, with numerous arrests of members, the banning of their literature as 'extremist' and liquidation of local Kingdom Halls," she says, "all this a few years prior to the national ban that the Supreme Court upheld earlier this year." The vehicle for this continued persecution has been the "anti-extremism laws," Clark says, "which is highly ironic — given that Jehovah's Witnesses are pacifists." Marjorie Castle, a political scientist at the University of Utah, speculates that Mormonism may be able to dodge the Jehovah's Witnesses' plight partly because of its structure. "The LDS Church is far more centralized and hierarchical than any of these other religious groups operating in Russia," she says, "and this may allow it to adapt to challenging conditions with a coherent policy and not be undone by the enthusiasm of individuals." Whether Mormons or other faith groups will be singled out for additional strictures, Castle says, "rises and falls with Putin." When the Russian leader "is weaker, when he faces greater domestic challenges or international setbacks, or when the Russian population is facing economic hardships," she says, "we would expect to see crackdowns intensify." He could focus even more hostility toward U.S.-based faiths, using them as a "scapegoat," Castle says, and who could be "more clearly American than Mormons?" For his part, Lunkin does not anticipate any further government slaps at the LDS Church. "The next U.S. ambassador in Russia could be a member," he says, given that President Donald Trump is eyeing former Utah Gov. Jon Huntsman Jr. as his pick for the post. "But there always will be some feature stories on TV about the spies in the church and some cases against foreign missionaries just to show the place of the LDS Church in Russian religious hierarchy." Last year's law forced Warnick and her fellow Mormon volunteers to adopt a do-it-yourself approach. "We had to be creative," says Warnick, who returned in February to her Utah County home, "in thinking of ways to fill our time." These young Mormon ambassadors got permission to attend plays, museums, concerts and ballets — generally off-limits to full-time missionaries — often with a church member in tow. They also worked closely with homegrown Latter-day Saints who are allowed to share their faith, sponsoring game nights at Mormon meetinghouses. They baked goodies for fellow believers and less-active members, being careful to drop them off at the correct address, Warnick recalls. "Just knocking on a door of a nonmember by accident could get us in trouble." She and her companion volunteers spent the rest of their time doing humanitarian work, cleaning nursing homes and retirement centers. Once, they helped remodel a center for the blind. Then a funny thing happened. Simply trying to be friends with people was more "effective," Warnick says, than formal proselytizing. Because preaching was outlawed — except at the chapel itself — these youthful volunteers would just talk to people, many of whom wanted to know what the Americans were doing there and why they spoke the language so fluently. They couldn't talk directly about their religion, so they would respond, "We are here for our church." If their listeners posed specific follow-up questions — about, say, the name of the church and its beliefs — the volunteers were allowed to provide short answers. Many Russians thought "we were cool Americans," Warnick recalls fondly. "They were more willing to talk to us, so we got to know them on a more normal basis. It was a lot more natural." Pitching LDS doctrine and the Book of Mormon, with its account of Christ coming to the Americas, to strangers on the street or on a doorstep was, frankly, awkward. Imagine, if the roles were reversed, meeting a pair of conservatively dressed 20-somethings from Russia on a U.S. street or doorstep who had a "weird accent" and trying to give you a book about a Jesus sighting in their country, she says. "We'd think they should go back to Russia and we'd stay away." 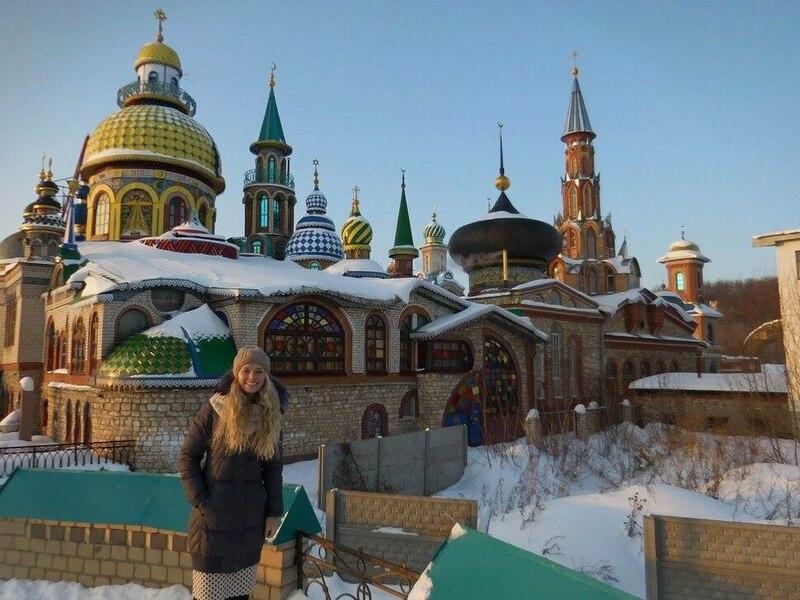 Immersing herself in Russia's arts, history and culture was an unexpected bonus for Warnick, but she believed she was called by God to spread the Mormon gospel, not to spend 18 months on a study-abroad excursion. This friendship-and-service missionary model — minus the name tag — seems like a way to satisfy that desire. Unless Russia bans that method, too. Editor's note • Paul Huntsman, the owner and publisher of The Salt Lake Tribune, is a brother of Jon Huntsman Jr. Correction: July 18, 8:40 a.m. • Alexey Vargin, as a young man, served a Mormon mission. A previous version misstated the type of mission he fulfilled.